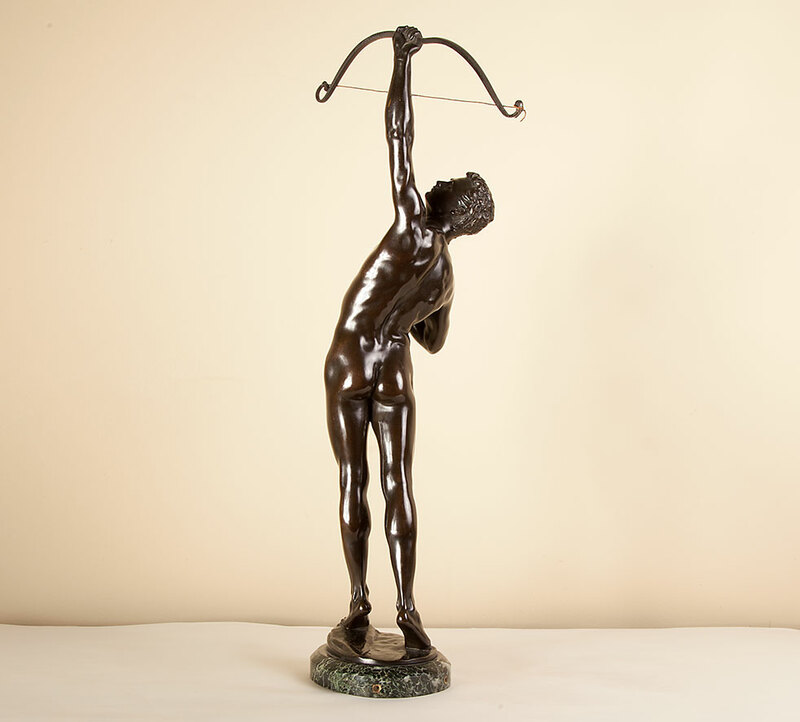 A high quality cast bronze of Hercules, poised on tiptoe, looking upwards and taking aim with a bow. Below the bronze base, which is signed J Uphues, is an oval green Tinos marble plinth. Joseph Uphues studied under R. Begas at the Berlin Academy and sculpted many monuments in Berlin and other German cities. He won a silver medal at the Exposition Universelle of 1900. 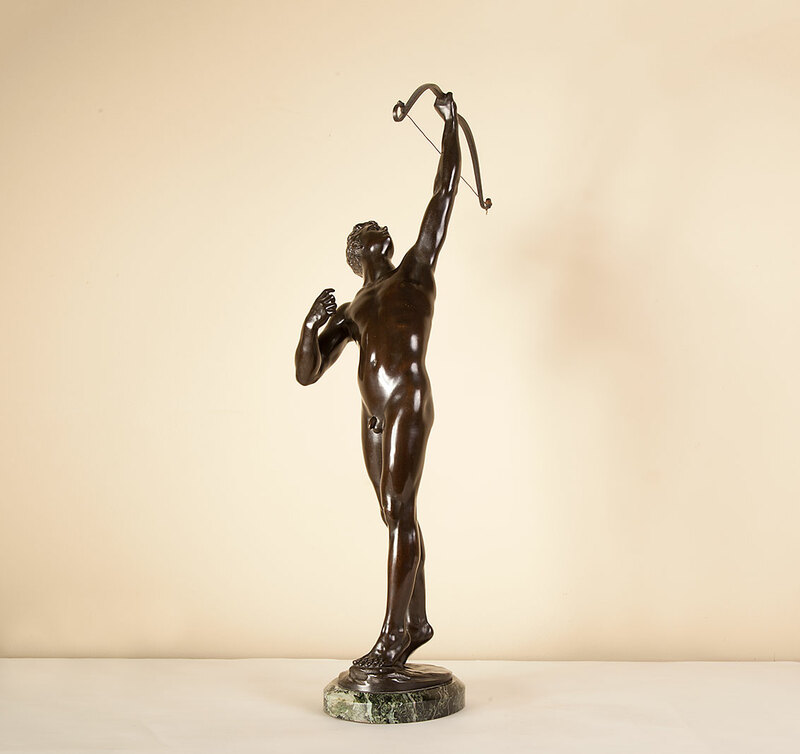 One example of this bronze exists in the Forbs collection of Victorian Art.